The agenda section below will contain the conference schedule. Conference-day registration will be possible from 7.30 and the conference begins at 08.55 on Friday 31st May 2019. Please note: Times and presentations are subject to change and Invest in ME Research accept no responsibility for cancellations, changes to presentations, changes to sequences of presentations or for the timings. The agenda is being prepared and will be updated here when ready. 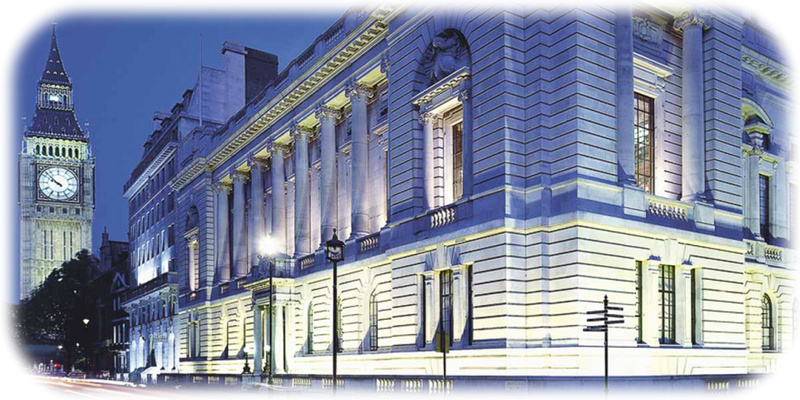 The venue for the conference is One Great George Street, London, England SW1P 3AA. Perfectly situated between the graceful 18th century houses of Queen Anne's Gate to the east, and the Wellington Barracks to the west, One Great George Street is surrounded by notable landmarks. One Great George Street is just opposite St.James Park, which is Grade I listed on the Register of Historic Parks and Gardens. 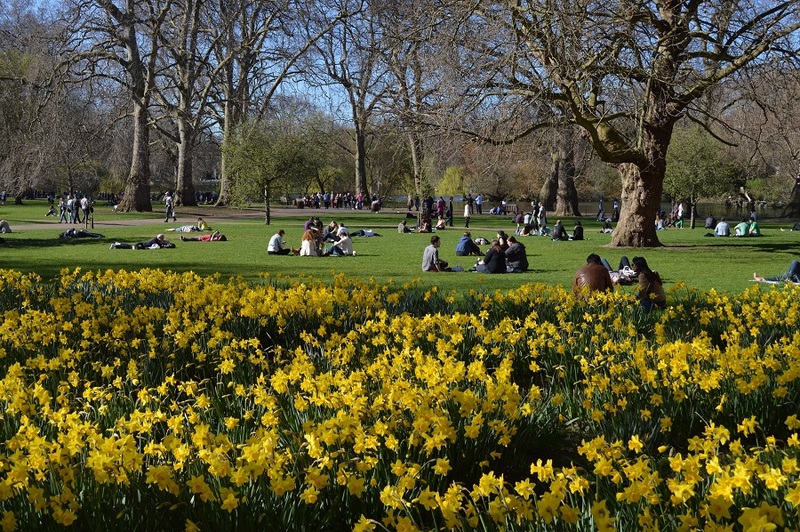 Nearby landmarks include Westminster Abbey, Buckingham Palace, the Houses of Parliament, the Mall and Horse Guards Parade, Clarence House and Whitehall. The Telford Theatre, on the first floor of this Westminster venue, is a fabulous purpose-built conference and lecture space with fixed racked seating. At the front is an ornate stage of dark wood panels which also surround the room. 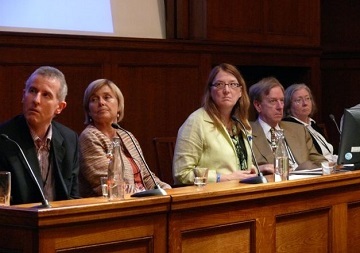 The stage has a speaker’s lectern to one side and a top table for up to seven people. The lectern and top table each have in-built monitors and microphones. NOTE: Wheelchair places in the conference lecture theatre are limited in number by the venue owners and are beyond our control. Please check before registration. On the first floor is the most impressive and largest function space within the building. The Great Hall a conference room of over 370 square meters and over 13 meters in height is adorned with marbled columned walls, ornate gold leaf and embellished plaster. An oak floor complements a stunning painted ceiling and two large crystal chandeliers at either end of the event room. There are seven floor-to-ceiling windows along the West wall letting in a lot of natural daylight. The room was conceived as part of the building’s initial plans in 1904. 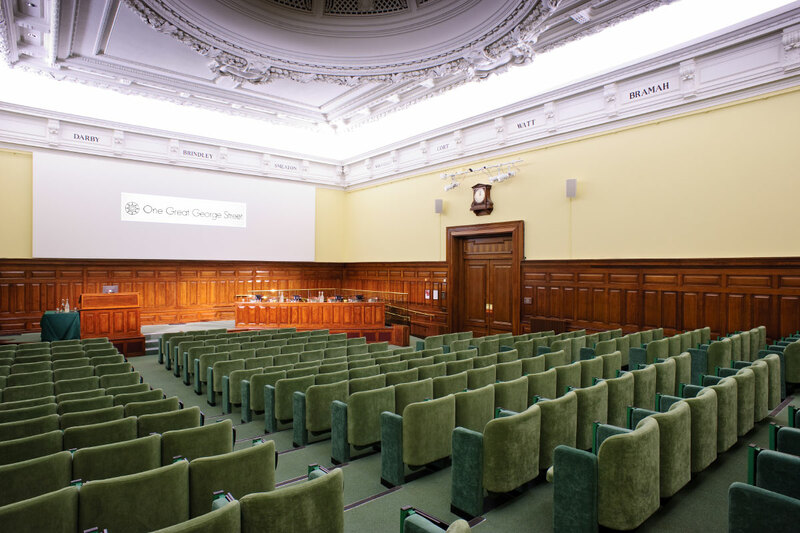 The Civil Engineers wanted to create a large hall similar to the grand meeting rooms found at the Inns of Court in the City and to be comparable to impressive rooms such as Lincoln’s Inn. The painted ceiling and chandeliers were donated by a former president of the Institution of Civil Engineers as a reminder of the role the Institution and its members played during the First World War. If you need a hotel during your stay in London then contact London Town - using the link provided here. The special map allows all hotels to be seen in the vicinity of the conference venue location. The London Town site also provides help and information regarding your visit. 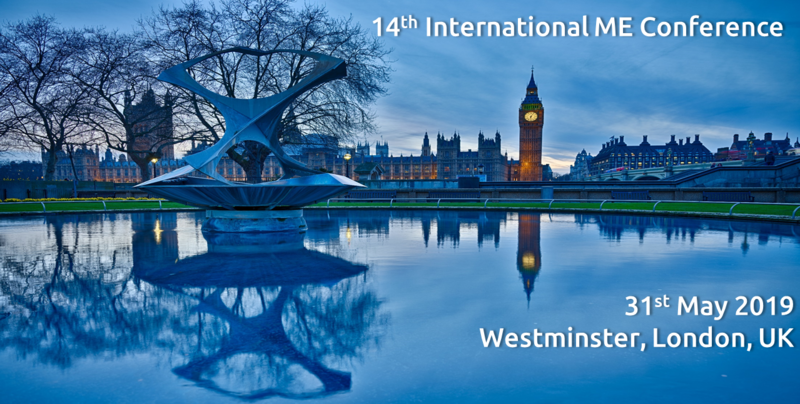 Please mention the IIMEC14 conference also when dealing with London Town. Submission of a completed registration to Invest in ME Research (via one of the options above), will register the application for one ticket covering the attendance day at the event entitled "The 14th Invest in ME Research International Research Conference 2019". Access to the event venue will be limited to "Ticket-Only" and Personal Identification may be required for proof of identity. Under the Data Protection Act (1998), you agree to your details being retained by Invest in ME Research for the purposes of managing this event. Disabled access is available at the conference venue but wheelchair places may be limited by the venue owners and need to be reserved beforehand. Invest in ME Research cannot guarantee that a wheelchair place will be available and applications are treated on a first-come-first-serve basis. Please see the venue page for details of the conference venue. One completed Registration Form is required for each individual wishing to attend. No refunds will be considered for no-shows. Refunds will be considered if written notice is received by 3rd March 2019. No refunds will be given after this date. Only the person named on the ticket may attend the conference. However, substitutions may be accepted provided Invest in ME Research is informed and if Invest in ME Research agrees to the substitution at least two weeks prior to the event. Invest in ME Research is not liable for any loss or damage as a result of substitution, alteration, postponement or cancellation of the event due to causes beyond its control including, without limitation, natural disasters, sabotage, accident, trade or industrial disputes or hostilities. Concession Rates are offered to ME patients, their immediate and accompanying carers and students but the number of concessionary tickets is limited and will be dealt with on a first-come-first-served basis. Please note that the price per ticket is per person attending. We will be maintaining a waiting list for those who, initially, have not been able to obtain a concessionary rate. We reserve the right to limit the number of carers attending for one patient due to the limited number of concessionary seats available and to allow these tickets to be fairly allocated. Attendees will receive an e-ticket containing their unique registration id. If an email account is not available then the registration confirmation will be posted. Please bring the confirmation email/letter with you to the conference. All bookings will be confirmed by email, unless otherwise stated. Please contact us if you have not received your confirmation within 10 days after submitting your booking. CPD Accreditation CPD accreditation forms will only be supplied to those registering using the Professional category. 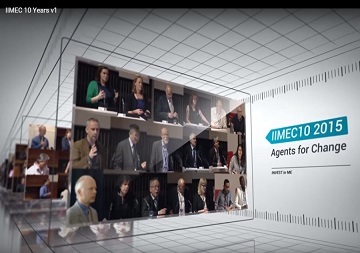 The views expressed at the 14th Invest in ME Research International ME Conference 2019 by the presenters and delegates to the conference and any information material distributed are their own personal opinions that are not shared or endorsed by the Trustees of Invest in ME Research. Invest in ME Research accept no responsibility for the views expressed or any subsequent action taken. The contents of any presentation should not be deemed to be an endorsement, recommendation or approval of such content by Invest in ME Research. The materials presented at the 14th Invest in ME Research International ME Conference 2019 do not constitute medical advice. No medical recommendations are given or implied by Invest in ME Research. Any person registering or attending the conference who may take any action or consider medical treatment or referrals should take detailed advice from their own medical practitioner. 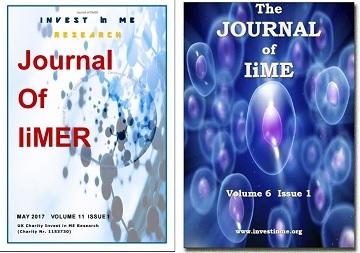 Invest in ME Research disclaims any implied guarantee about the accuracy, completeness, timeliness or relevance of any information contained at the conference. By registering for or attending the conference you agree that Invest in ME Research is not liable for any complications, injuries, loss or other medical problems arising from, or in connection with, the use of or reliance upon any information contained in the conference.